Objectives The suitability of determining aluminum in serum or urine as a form of biological monitoring was critically assessed. Methods Airborne and internal aluminum exposure was assessed for 12 aluminum welders in a shipyard and 5 manufacturers of aluminum sulfate. Particles were characterized with X-ray diffraction and scanning electron microscopy. Aluminum in air and biological samples was analyzed using electrothermal atomic absorption spectrometry. Basic toxicokinetic features were inferred from the data. Results The mean 8-hour time-weighted average concentration of aluminum was 1.1 (range 0.008–6.1) mg/m3 for the shipyard and 0.13 (range 0.02–0.5) mg/m3 for the aluminum sulfate plant. Welding fume contained aluminum oxide particles <0.1 µm in diameter and their agglomerates, whereas bauxite and aluminum sulfate particles ranged from 1 to 10 µm in diameter.  The shipyard welders’ mean postshift serum and urinary concentrations of aluminum (S-Al and U-Al, respectively) were 0.22 and 3.4 µmol/l, respectively, and the aluminum sulfate workers’ corresponding values were 0.13 and 0.58 µmol/l. Between two shifts, the welders’ S-Al concentration decreased by about 50% (P<0.01), but their U-Al concentration did not change (P=0.64). No corresponding temporal changes occurred among the aluminum sulfate workers. After aluminum welding at the shipyard had ceased, the median S-Al concentration decreased by about 50% (P=0.007) within a year, but there was no change (P=0.75) in the corresponding U-Al concentration. Conclusions About 1% of aluminum in welding fume appears to be rapidly absorbed from the lungs, whereas an undetermined fraction is retained and forms a lung burden. A higher fractional absorption of aluminum seems possible for aluminum sulfate workers without evidence of a lung burden. After rapid absorption, aluminum is slowly mobilized from the lung burden and dominates the S-Al and U-Al concentrations of aluminum welders. For kinetic reasons, S-Al or U-Al concentrations cannot be used to estimate the accumulation of aluminum in the target organs of toxicity. However, using U-Al analysis to monitor aluminum welders’ lung burden seems practical.